We held a Tech Cafe on Saturday, August 18th, 2007 at Bucketworks. Justin brought us food and drinks, and we discussed BarCampMilwaukee2, which will take place on Oct 13/14, 2007. 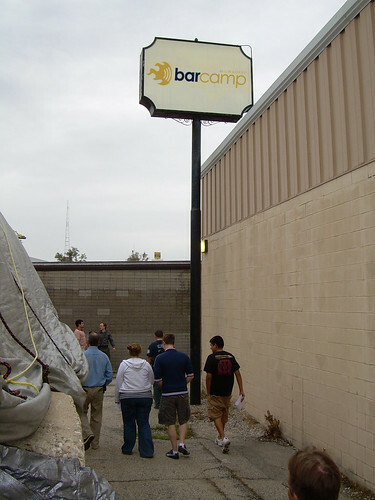 Oh, the BarCampMilwaukee2 site is up and ready to go at barcampmilwaukee.com. Feel free to go there and sign up and start filling it with content. Blake did a great job on the site. I won’t get into the details of the meeting here, since what we discussed will most likely show up on the site, and on the list, but things are going good. Bucketworks is in need of a few things, and we’re hoping we can help provide them, or find people that can. Posted on Sunday, August 19th, 2007 at 9:00 am. Subscribe to the comments feed. Both comments and pings are currently closed. Post on your own blog.